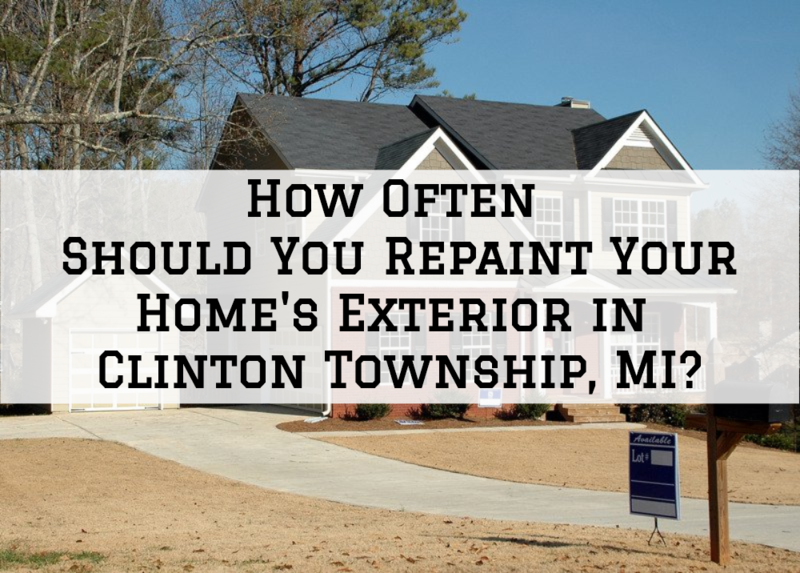 How Often Should You Repaint Your Home’s Exterior in Clinton Township, MI? Repainting the exterior of your home is undoubtedly the best renovation with the highest return on investment you can ever do to your home. Quite frankly, nothing gives the outside of your home a fast, impressive facelift like a fresh coat of paint. Other benefits of repainting your exterior include improved curb appeal, increased property value, protection against the harsh weather elements, and extending the durability of your siding. With that in mind, how often should you repaint the exterior of your home? Well, there is no single answer to that, it mainly depends on a number of factors such as the type of your siding, the finish, the quality of last paint job, among other factors. • Wood siding: Wood siding is probably the least durable, lasting about 3-7 years when painting and approximately 4 years when stained. • Brick: if unpainted, only requires occasional cleaning, although you will need to paint the trim, of course. If you do choose to paint the brick itself, a good quality job will last 15-20 years. • Cement fiberboard siding: 10-15 years. Averagely, repainting needs to be done after every 5 years. However, this can change depending on a number of factors such as weather, climate, location and the quality of the previous paint job. The durability of paint on any siding largely depends on the quality of the last paint job and products used. Exterior repaint is an extensive project that requires a lot of preparation and patience. Any surface that is showing signs of the paint peeling, flaking or bubbling needs to be stripped, sanded and thoroughly cleaned before paint can be applied. Skipping or skimping on any of the important surface preparation processes means that the paint won’t properly adhere to the surface as required, hence setting a stage for premature paint failure. High-quality primer and paint applied using the correct technique is also more likely to last longer. Your location and the weather around you will affect how long your previous paint job lasts. Rain, frost, sleet, high humidity, and UV rays all can quickly degrade your paint job. So if you live somewhere with extremely hot summers and your home is not sheltered by trees, the effect of UV rays is likely to degrade your paint much faster. Thankfully, Clinton Township and Michigan, in general, don’t receive much of these weather extremities. How long your paint job lasts depends on the maintenance effort you put in. Regular inspection of your siding and preventative maintenance can help you notice and remedy paint failure issues before the damage becomes extensive. Look at your house regularly to watch for signs of wear and tear. Specific things to watch out for are dampness, rot, chalkiness, insect or rodent infestation, and mold. If you notice any of these signs, fix them right away and your paint job could last much longer –saving you a lot of money and time in the long. Other than the recommended repaint timelines above, you should always be on the lookout for signs of a failing paint job. Regardless of when you last painted your home’s exterior, signs of damage may mean it’s time for a new paint job. While minor signs of paint damage may be fixed with a simple touch-up, extensive paint peeling, fading, flaking, bubbling and mold/mildew growth might mean it’s time to repaint your entire exterior. Regularly updating the paint on your home’s exterior is a great way of increasing your home’s value, improving your curb appeal and ensuring that your property lasts much longer. 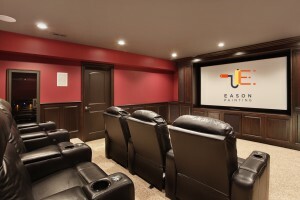 If your exterior is showing significant signs of paint failure, our team at Eason Painting can offer professional help. Our team has extensive experience and training to handle any type of siding and we only use high-quality paint products. We recently finished this complete interior Repaint of the walls, ceilings, trim and doors in this New Baltimore condo . I love the colors they turned out great with the dark grey doors. I would love to see this condo fully furnished and decorated. I did get a peek at it and am hoping the customer sends us some finished photos. Thanks to my crew for another job well done! It is never good when your pipes burst, but it’s been happening a lot with this cold weather. 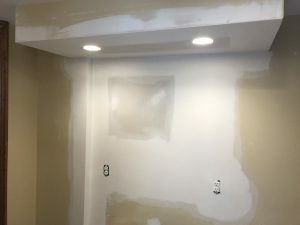 Here is a drywall repair, prime and paint of a bathroom in Casco, MI that we recently complete . 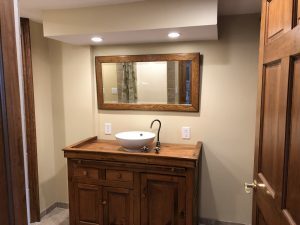 We removed and rest vanity and had our good friend repair the broken pipes. When your previously fabulous deck starts to look tired and won out, you should probably start thinking about refinishing it. Refinishing your deck will not only make your entire exterior beautiful but will also extend the life of the wood itself. Refinishing your deck in good time before major damage happens is much cheaper than having to replace wood in the deck. You can instantly stop major structural damage and possible deck failure by fixing a few boards and protecting the entire deck with a new refinish job. If you’re planning to resell your home any time soon, a well maintained and refinished deck increases the overall resale value of your property. 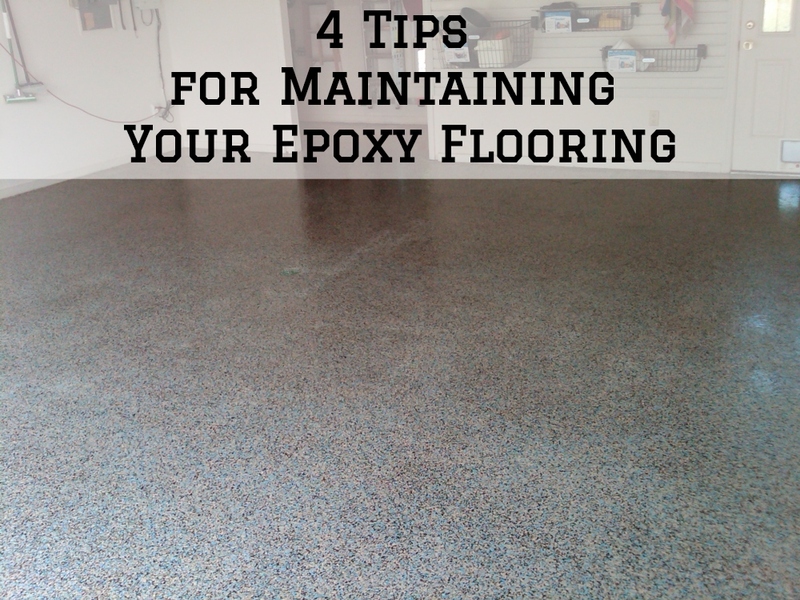 Having said that, it’s important to know the signs that warranty minor fixes and those that call for an entire deck refinishing. So, besides your deck generally looking bad, here are specific signs it’s time to repaint it. Cracking or split deck boards are the early signs that a much bigger problem is on the way. This needs to be replaced before staining can be done. Check everything including the posts, railings, joists, and sills for any signs of cracking. If there’re any severely warped boards, placing a heavy weight on them could lead to complete breaking or splitting. If your wood generally looks old, dry, and faded, maybe with signs of peeling paint, deck restoration and refinishing can restore the glory and beauty of your aging deck and create an appealing relaxing environment. Paint and stain eventually deteriorate; however high-quality the paint is. Rain, frost, sleet, snow, and UV rays all contribute to gradual paint breakdown which might lead to signs like peeling and flaking paint. Even if you have a newly re-painted deck, you can still notice signs of fading, flaking and peeling paint if the surface prep work was not well done. For instance, if the surface was not well washed, stripped and sanded where necessary, the paint will not properly stick. For the best results, you should consider stripping and properly power washing any deck that has peeling paint. Mold, mildew and other types of fungi can easily grow on your deck when the conditions are right. Most fungi thrive on damp wooden surfaces that are constantly exposed to moisture. Inspect your siding carefully and Pay special attention to where every post touches the ground. If you see extensive mold on the boards, they will need to be replaced before any staining can be done. Minor patches can, however, be scrapped off and the surface treated using a mixture of 3 parts of water and 1 part of household bleach. When inspecting your deck, walk around it and note how the wood responds. If you feel sponginess, soft spots or bowing, there might be moisture issues underneath. In this case, the affected planks need to be replaced. Many times, in these cases, you will find rotting underneath the surface that cannot be seen by naked eyes. If the rotting is extensive, it might mean replacing the entire deck. When the deck in the wood is constantly exposed to water and rain, wood fibers might be raised. Wood fibers can often remain raised and may cause splinters. 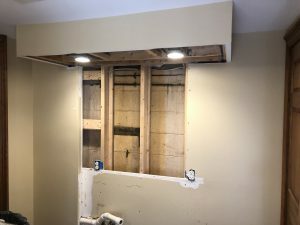 If you notice splintering, it’s a warning that your boards are damaged and likely letting moisture and that will eventually cause mold growth and rotting. If this is not fixed in good time, it might cause the boards to collapse. If your deck looks dull, is fading or has mold and mildew growing on it, it’s definitely time to refinish it. The weather, traffic, and even chemicals can degrade your paint system and wood. The best way to have your deck properly inspected and refinished is by hiring a professional painting and refinishing contractor. If you need professional help refinishing and restoring your deck in Clinton Township, Michigan, our professional and trained team at Eason Painting can help. Give us a call today and let’s give your deck a new, fresh, and long-lasting look. Home is a place where you come to seek comfort after a long and stressful day. A home can only soothe your eyes if it is gorgeously painted, and neatly decorated, with fine walls, ceilings, and furniture. Gray and white are the back drops choice for a majority of these color combinations we are seeing in the houses we are painting for 2019. Just glance at Benjamin Moore’s color if the year Metropolitan AF-690 a cool soft gray and you will see the possibilities are endless .Take a good look at all these interior color trends 2019 and pick a few to have Eason Painting come and paint your walls and ceilings this year. 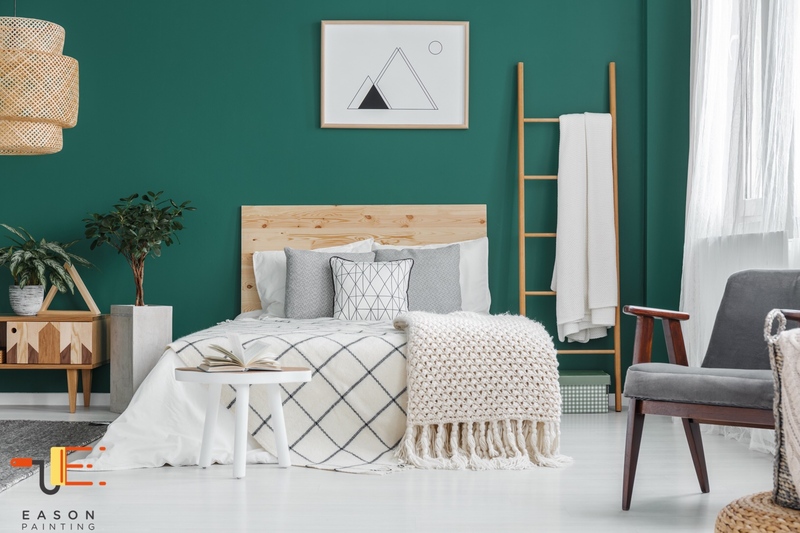 If you take a look at home interior trends 2019, you will find that berry red shades add a ton of life to your room, so much that it’s overwhelming! This color is so energizing that its richness creates coziness and comfort in the home. Shop for Sherwin Williams Salute and also look at Borscht for a rich berry tone. 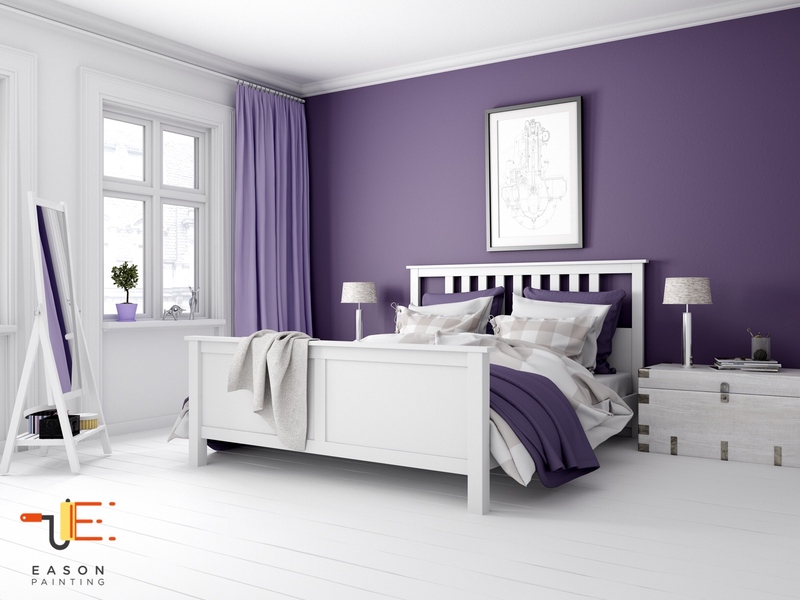 This ultra violet shade is one of the best interior color trends 2019. However, this year, the trend is to stick to muted and understated tones of purple that can fill you up with a dose of energy. The toned down, and muted version of the color creates more diversity. You can use Valspar Metropolis Lilac as a muted purple to paint your walls. The color aqua makes a bold and vibrant statement, and looks more charming if used in combination with soft pastels, and pinks. It is a fun color for your walls, and adds a splash of power and humor. 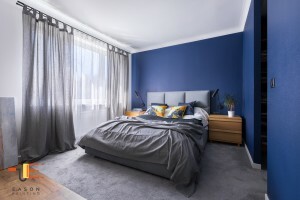 This one is a sure shot winner if you talk about home interior trends 2019. You can select Aqua-Sphere SW 7613 by Sherwin Williams, to get this trendy color. Add a splash of color to your living room with jewel toned shades of aquamarines, sapphires, and emeralds. You can even have kitchen drawers and cabinets painted in these shades. You just have to balance between the different jewel toned shades and you will be good to go. 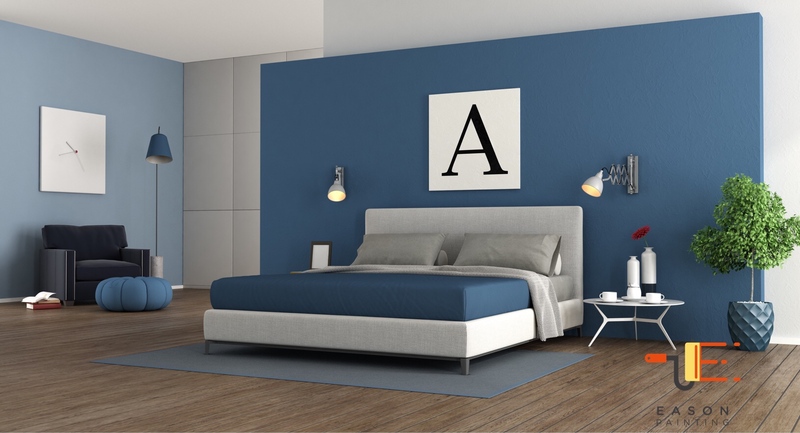 Get Sapphire SW 6963 by Sherwin Williams to add a jewel-toned accent to your bedroom. Pastel colors are super trendy! Add a spatter of softer and more pastel pink shades, like rosy neutral, and dusty, muted blushes. These shades represent spirituality and innocence, and with orange lights on, your living room will feel like the coziest place in the world. Buy Orchid Blush by Valspar to follow the growing trend. Soft, hazy, and misty blues are so 2019! These hazy shades of blue are extremely calming and soothing and add real energy to your home. They give you a sense of mental clarity, and keep you humble and grounded. 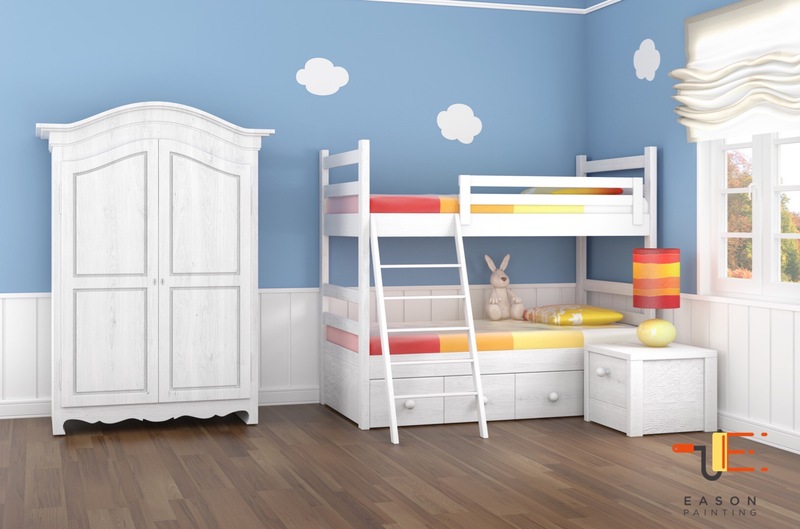 Misty Blue 820 from Benjamin Moore will have you achieve this look. These deep shades of green help you heal inside. When you look at these greens, you automatically feel refreshed and re-invigorated. The deep accents of greens cool your eyes and add freshness to your mind and senses. Galley Green by Sherwin Williams will make you feel like your room is surrounded by nature. These seven home interior color trends 2019 can seriously brighten up your home and make it look super classy and trendy. Try some of these and you will see how different and beautiful your house will feel and look. 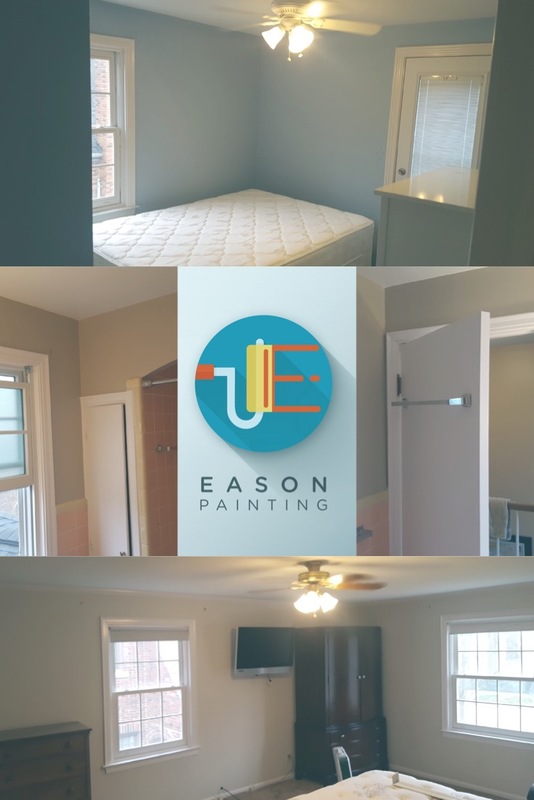 What ever color you decide to choice this year, just sit back relax and call Eason Painting to paint your interior bedroom, bathroom, kitchen or great room. You will not be disappointed! 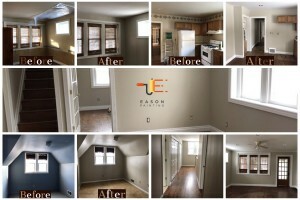 We just finished this interior repaint of this beautiful rental home located in Clinton Twp, Mi. The color selected for the walls was SW 7036 Accessible Beige. This house will have all new refinished floors and carpet once done. 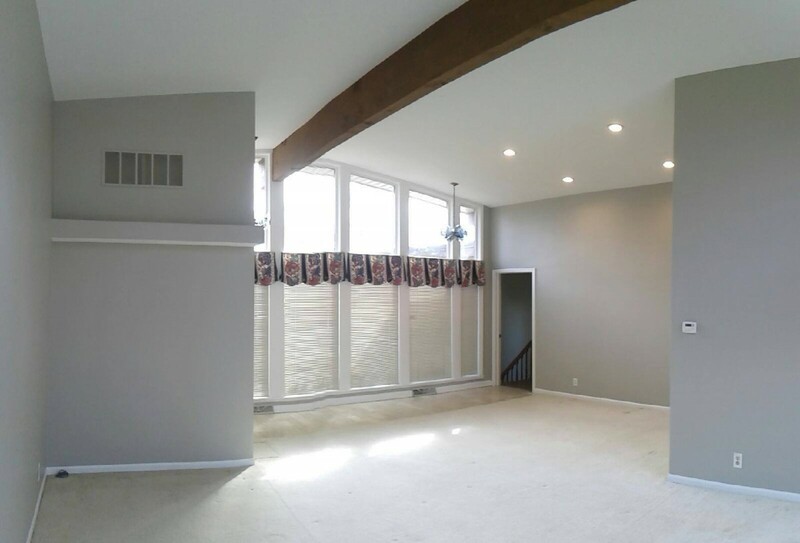 It is very spacious with a full upstairs and basement. If anyone is looking for a great house to rent contact me and I will hook you up with the owner. Thank you Rob for putting your trust Eason painting and allowing us to repaint this house for you .